On the 5th of December 2013, South Africa’s first black president passed away after a long illness. 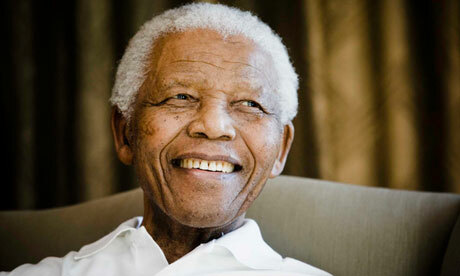 Nelson Mandela is and will remain one of the most recognisable symbols of human rights in the twentieth century. “Education is one of the most important weapons in a country. We want to transform education into national assets and in an instrument that we can use for development”. Provides educational facilities in emergency situations. One major aspect of ChildFund’s educational initiatives is Child-Centred Spaces (CSS). A ChildFund CSS is a safe space for children that provides structured, normalising activities that protect children from harm and promote their well-being. CSS’s foster and encourage the protection of children through play, recreation, literacy, and numeracy. They are places where a child learns and at the same time enjoys the process of learning. CSS recognize and respect the range of rights of children; not just their right to be educated but also their right to healthy, protected from harm and abuse, express their views freely, and participate in decision. All of our educational initiatives would not be achievable without the help and financial support of our generous sponsors. We at ChildFund hope that Mandela’s legacy will live on and on, and that his teachings continue to resonate with people the world over.